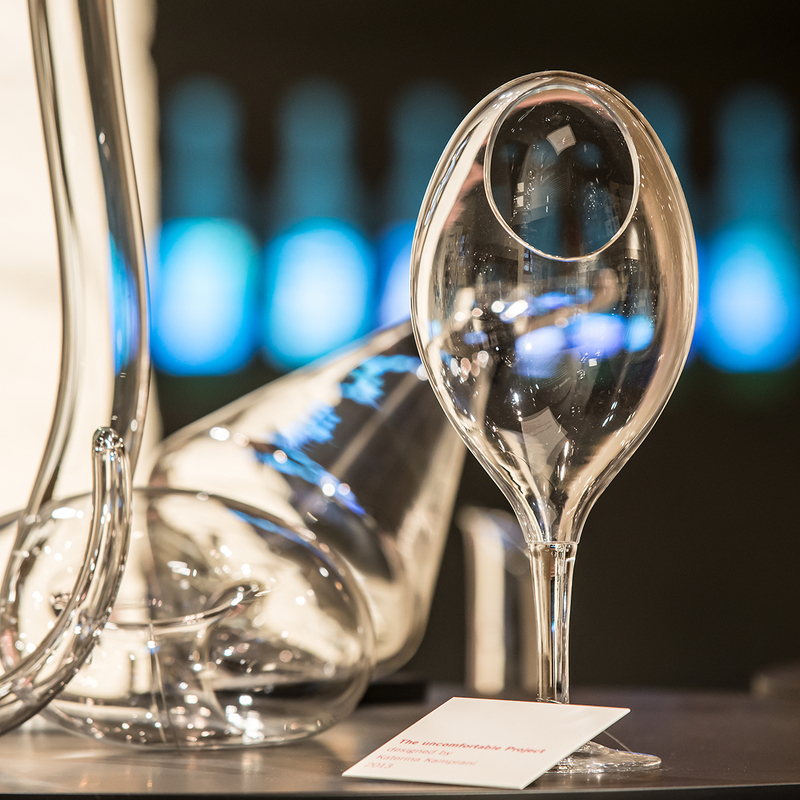 The Uncomfortable Wine Glass was selected for permanent display at VINEUM! 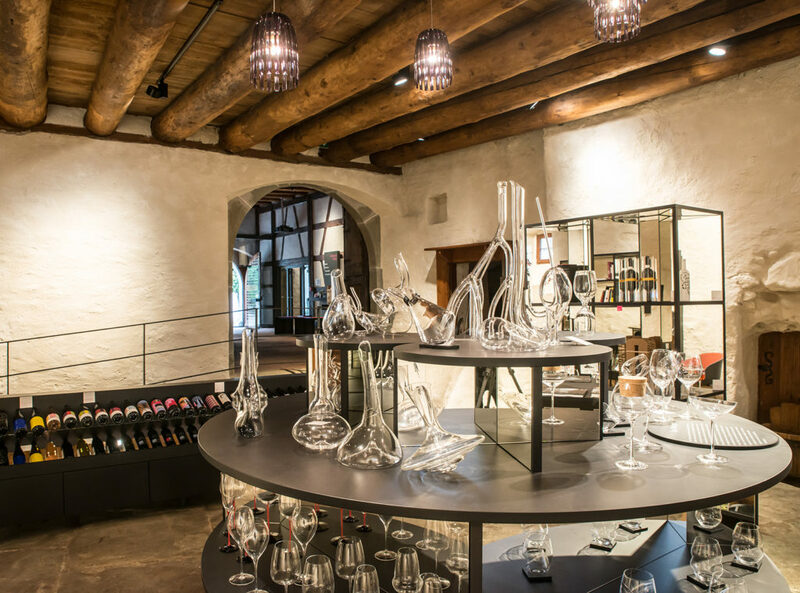 In July 2016, the VINEUM Bodensee opened its doors in Meersburg on Lake Constance, one of Germany’s most beautiful wine and tourism regions. 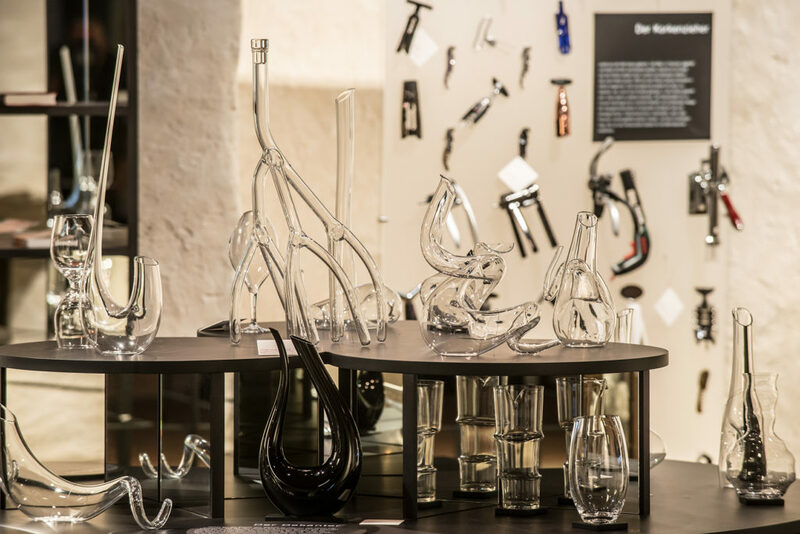 The civic museum recounts the history and culture of wine on Lake Constance and in the globalised world. One of the rooms in the museum is based on the idea of a contemporary concept store and thus counteracts the conventional idea of how a museum should be presented. 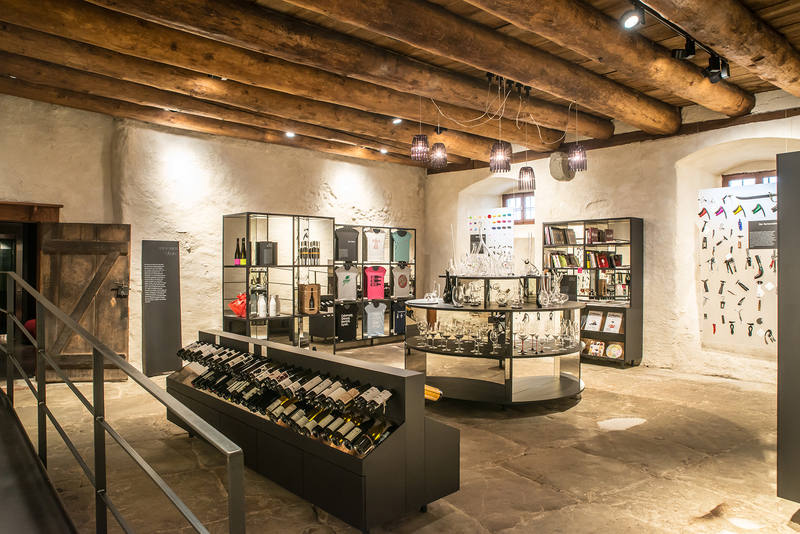 Wine, a ‘cultural asset’, is presented as a globalised lifestyle product. Among the many diverse and unusual items on display are wine glasses, decanters, corkscrews, packaging, labels and much more. If you find yourself in Meersburg go and have a look!